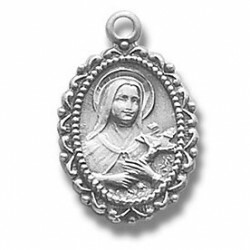 Patron Saints R-T There are 82 products. 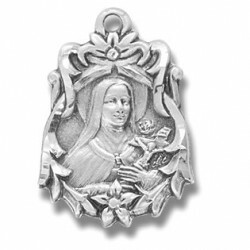 St. Therese Sterling Silver Small w/18" Chain - Boxed Traditional Medals of devotion in fine Sterling Silver. 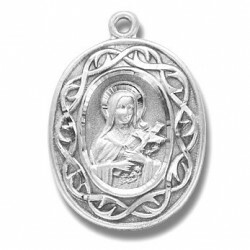 St. Therese Sterling Silver Small Round w/18" Chain - Boxed Traditional Medals of devotion in fine Sterling Silver. 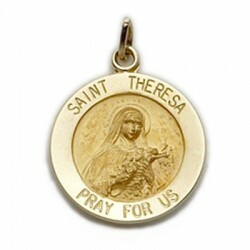 St. Theresa with Trinity Sterling Silver w/18" Chain - Boxed Traditional Medals of devotion in fine Sterling Silver. 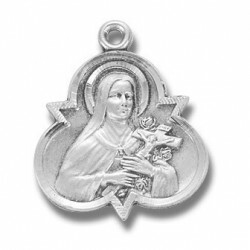 St. Therese Sterling Silver Fancy w/18" Chain - Boxed Traditional Medals of devotion in fine Sterling Silver. 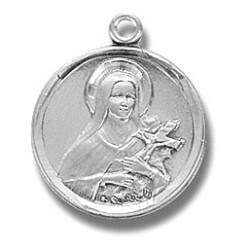 St. Therese with Crown of Thorns Sterling Silver w/18" Chain - Boxed Traditional Medals of devotion in fine Sterling Silver. 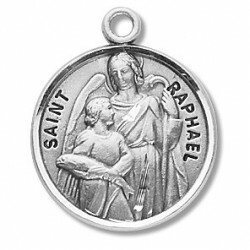 St. Raphael Sterling Silver Round w/20" Chain - Boxed Sterling Silver Patron Saint Medals. 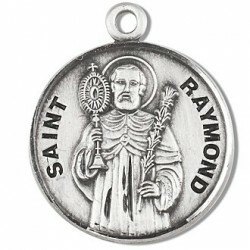 St. Raymond Sterling Silver Round w/20" Chain - Boxed Sterling Silver Patron Saint Medals. 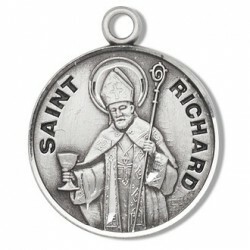 St. Richard Sterling Silver Round w/20" Chain - Boxed Sterling Silver Patron Saint Medals. 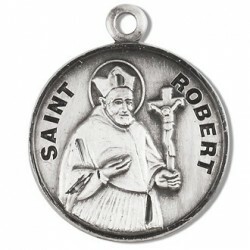 St. Robert Sterling Silver Round w/20" Chain - Boxed Sterling Silver Patron Saint Medals. 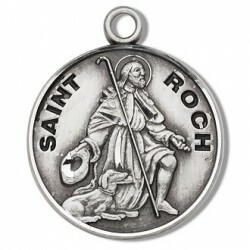 St. Roch Sterling Silver Round w/20" Chain - Boxed Sterling Silver Patron Saint Medals. 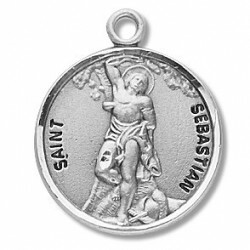 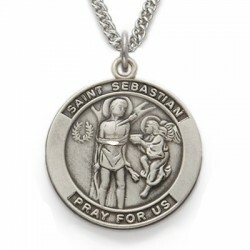 St. Sebastian Sterling Silver Round w/20" Chain - Boxed Sterling Silver Patron Saint Medals. 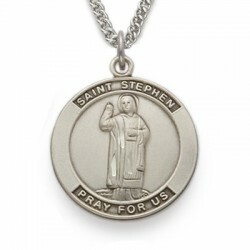 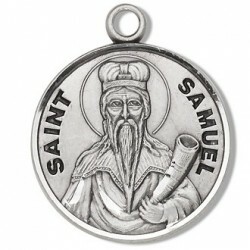 St. Samuel Sterling Silver Round w/20" Chain - Boxed Sterling Silver Patron Saint Medals.